Our delicious chocolatey sponged is rolled with a smooth chocolate buttercream, to give the perfect chocolate hit when you need it. 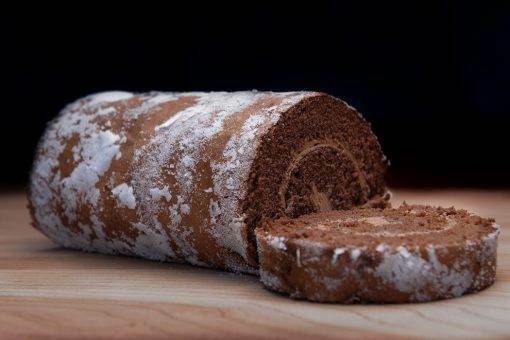 Our Chocolate Swiss Roll cuts into 8 generous slices. 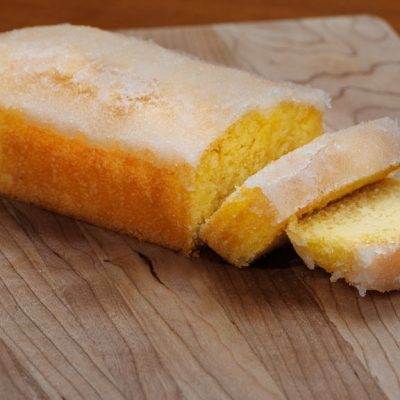 It is perfect for a snack or even as a dessert with some ice cream. Our Chocolate Swiss Roll is also available in a Dairy, wheat & gluten free option. 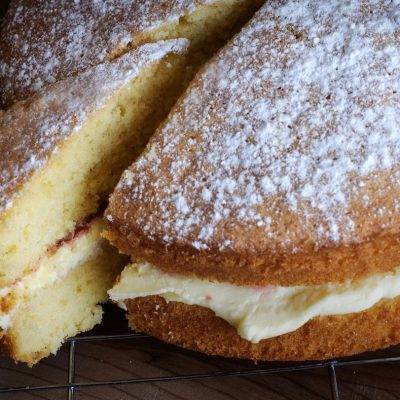 All our cakes are hand-made using quality ingredients, and where possible locally sourced ingredients. We pride ourselves in not using preservatives. 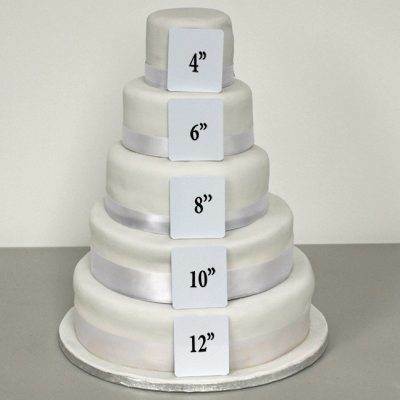 Please note that all our photos are representative as our cakes are hand-made, and therefore decorations and finish may vary. For more information on our products and potential allergens please check our Allergen Guide.